Abril trouxe-me uma carta de França, pela Céline Bailly, aka Bohème Circus e uma das mentoras deste The Happy Mail Project. 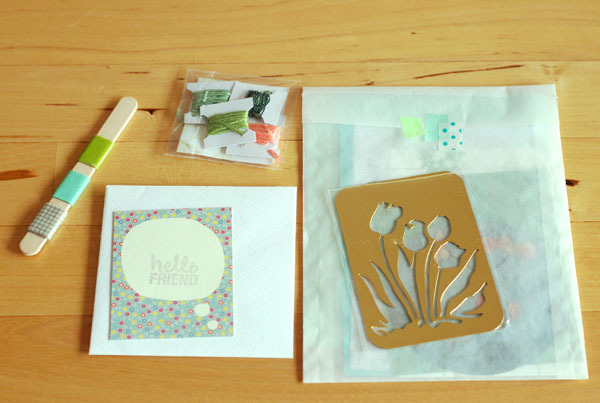 Em tons de verde Primavera, recebi uma linda colecção de papéis, fitas washi, linha de bordar e um stencil. Merci beaucoup Céline! April brought me a letter from France, by Céline Bailly, aka Bohème Circus and one of the mentors of this The Happy Mail Project. 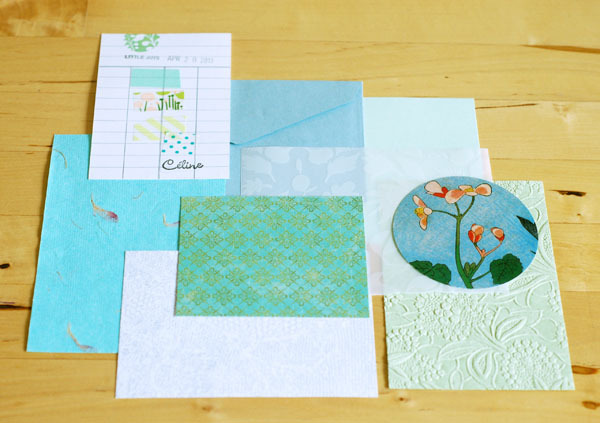 In spring green shades, I got a beautiful collection of papers, washi tape, embroidery yarn and a stencil. Merci beaucoup Céline! A minha carta voou para a Holanda, para a Erika Harberts, aka Miko Design. Com inspiração zoológica, a minha carta levava postais, tecidos, fitas e um mobile com pássaros feito à mão por mim. 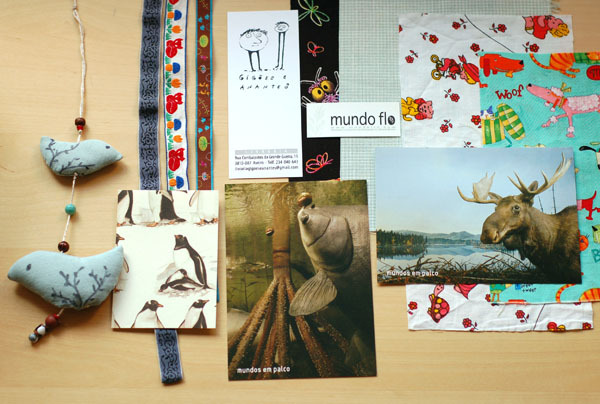 My letter flew to The Netherlands, for Erika Harberts, aka Miko Design. 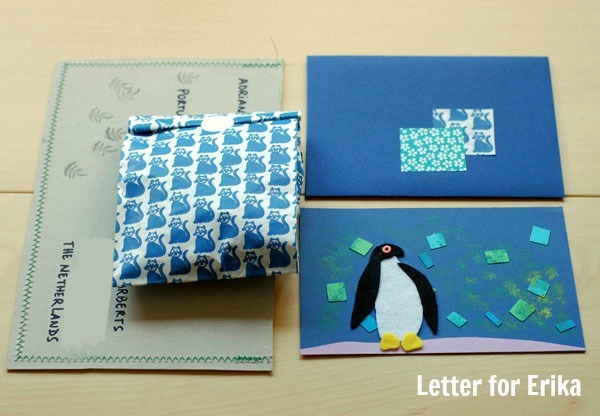 Inspired in Zoology, my letter had postcards, fabric, ribbons and a mobile with birds handmade by me. I am happy that you like this envelope to the accents of the nature, and thank you to you to participate in the sharing of these beautiful letters!